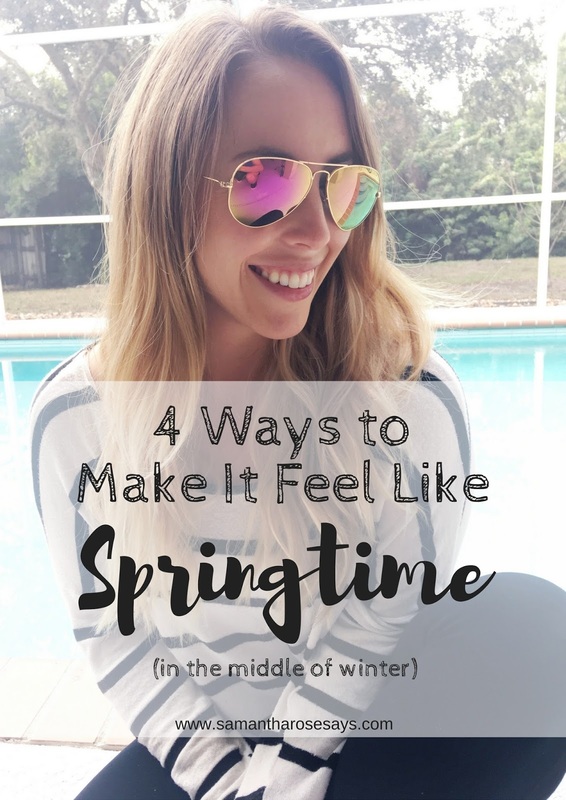 4 Ways to Make It Feel Like Springtime (In the Middle of Winter). After the holidays are over, I’m basically over cold weather and ready for summertime fun to begin. That said, “winter” officially paid Florida a visit this weekend with high temperatures in the upper 50s & lows dropping all the way into the 30s. YIKES! This Florida grown girl can count the number of jackets she owns on one hand and to be honest, I’ve never mastered the whole “layering” thing. Even though I'm excited for cooler temps, I'm all about living like it's spring time year round. Here are a couple of my favorite ways to do just that! Give my nails a pop of bright, fun color! I'm all about matching my nail color to a specific season, but when I need a little pick-me-up in the dead of winter, you'll catch me with hot pink toes and teal nails in the middle of January because #YOLO. This is an all-time favorite shade. Light a spring or summery scented candle. Like most, I opt for lighter, sweeter scents in the springtime, and this guy has been burning on repeat in our humble abode. It's a crisp, summery smell and not too sweet. When it's 50 degrees outside, lighting a tropical or flowery scented candle transports me to warmer days (and inspires me to start planning my next tropical vacation...whoops). Liven up my wardrobe with pastels. I have a tendency to wear a lot of black and neutrals colors, but sometimes I feel like a monochrome wardrobe can cramp my style...especially on gloomy winter days. We all know "florals for spring" is groundbreaking (Devil Wears Prada reference, of course! ), but I love throwing pops of pastels and lighter colors into the mix when I'm trying to transition into a springtime wardrobe rotation. You can find a couple of my current wish list items here and here. Fuse Lenses was kind enough to send me a complimentary pair of their replacement lenses, and I haven’t been able to take them off ever since! I mean, how gorgeous is that pink mirror? Paired with my gold rimmed Ray Ban aviator frames, it feels like it’s sunny and 75 literally every time I put them on. 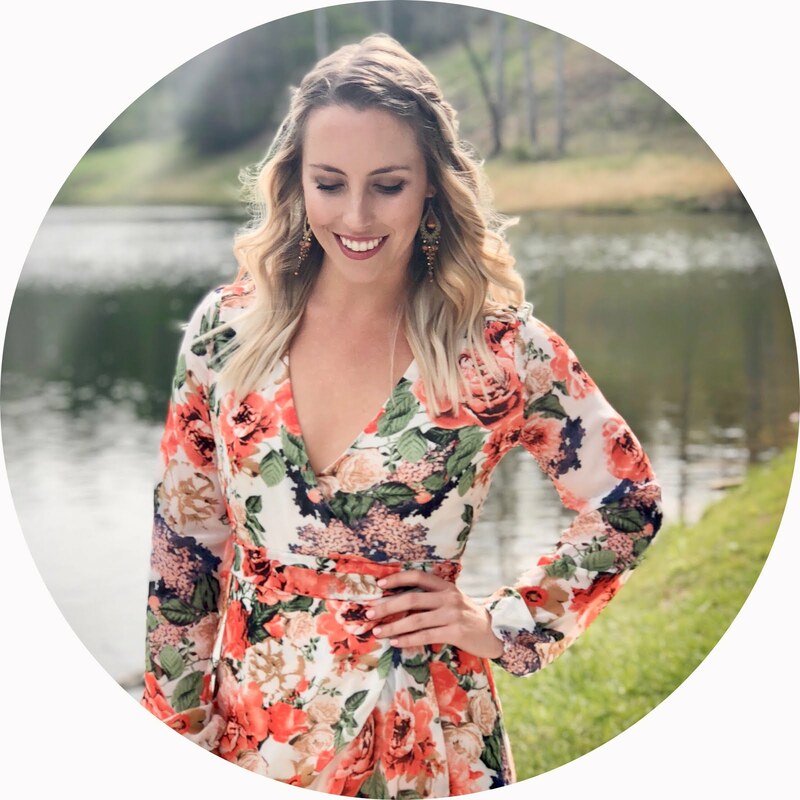 Not to be confused with your typical sunglasses shop, Fuse is a replacement lens company for any brand of sunglasses based out of Clearwater, Florida. 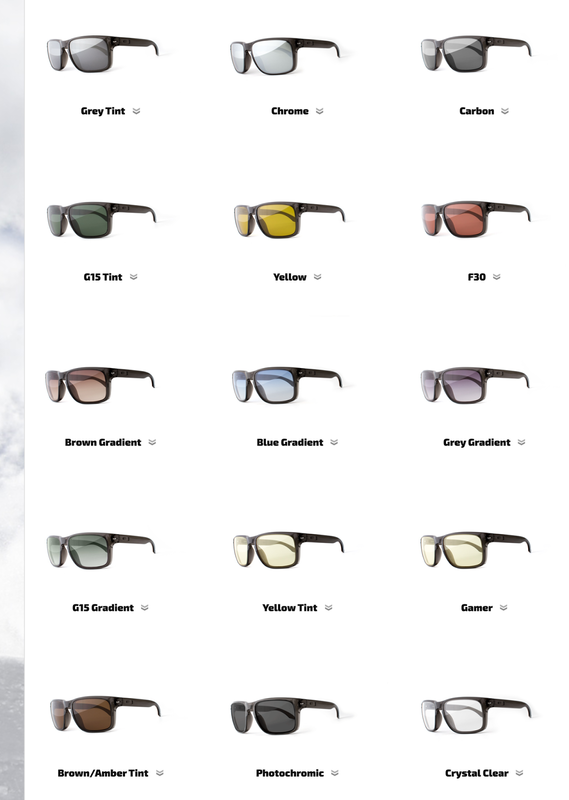 They offer 24 gorgeous colored lenses with polarized, non-polarized, mirror coated, and gradient options…68 lens options total! 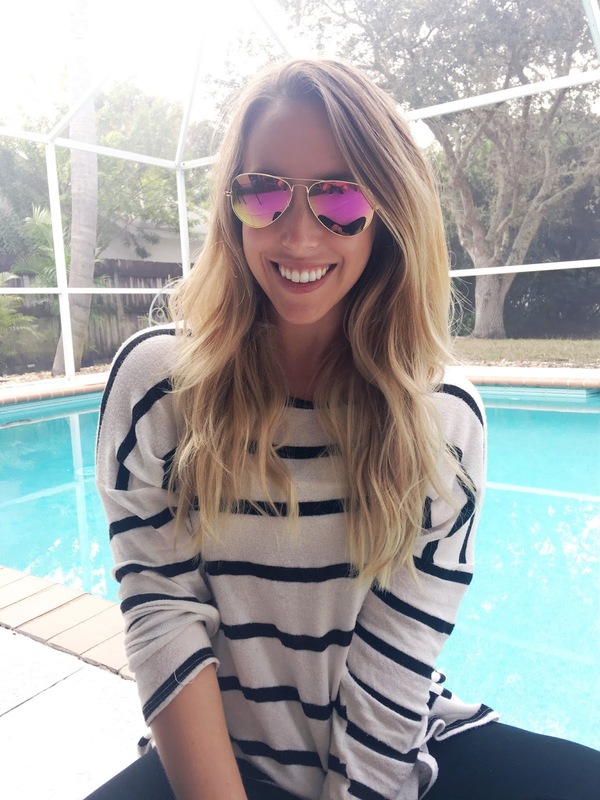 (I’m wearing their Fuse +Plus polarized Bella lenses in this post). Rather than dropping a pretty penny any time you scratch your lenses or simply want to change up your look, Fuse offers affordable high-quality “aftermarket” replacement lens for your name-brand sunglasses. 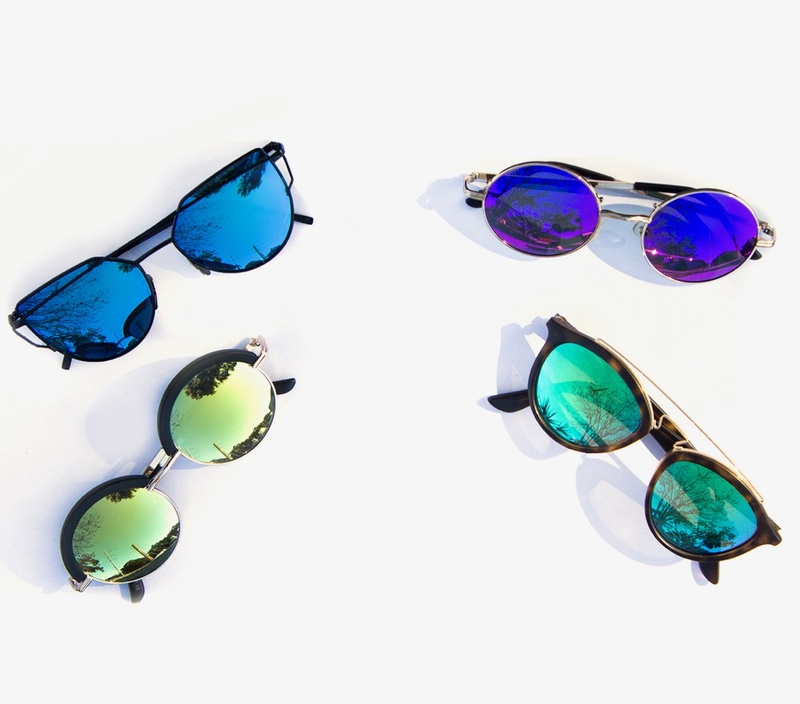 Not only are they beautifully made – Fuse lenses are scratch resistant AND 100% shatterproof. These babies have been tested at an actual shooting range, and they absorbed the shock of a .22 caliber bullet fired from 100 feet away. UNREAL. Check out this jaw-dropping video of a 2.4 oz ball drop on Fuse +Plus lenses versus name brand glass...so crazy! Fuse’s database of lenses is constantly expanding, but even if they don’t have your specific pair in stock, it’s no problem! Simply email customer service and for an extra $20, Fuse will send over a shipping label for your frames, trace your frame, custom cut your lenses, and send them straight back to you with your brand-new lenses already installed (Bonus: they also show just how easy it is to swap out lenses on your own in a quick video here). Convinced you need a pair of Fuse Lenses as a staple in your upcoming Spring 2017 wardrobe? 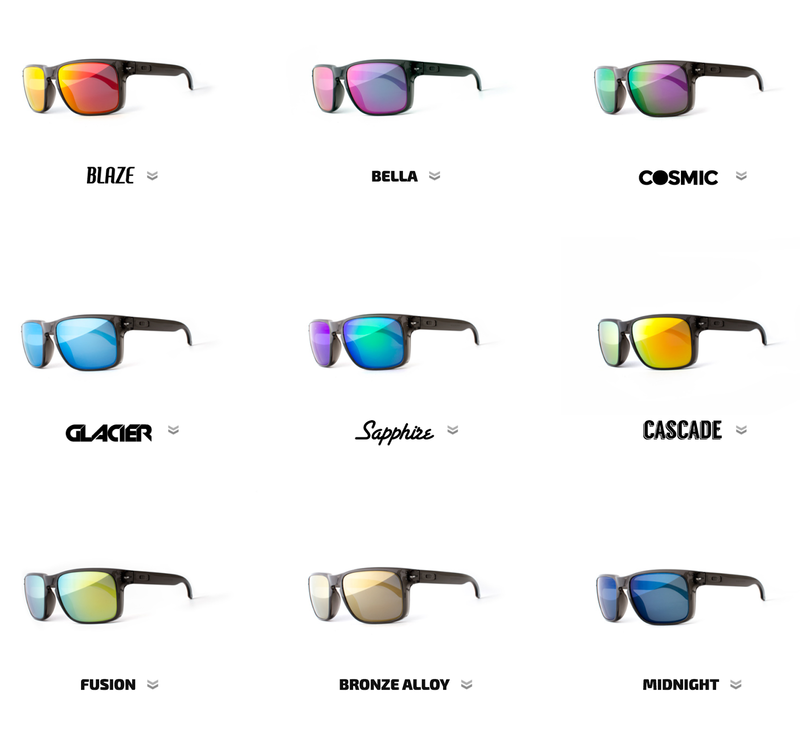 Fuse is giving away a pair of free polarized lenses to one lucky reader! Just hop on over to my Instagram account and follow the directions to enter. The winner will be chosen and notified on Monday, February 6th, 2017. Good luck! And just because I’m curious…what color lenses would you choose?! I currently have Bella (obsessed! ), but I’m also loving Sapphire and Blue Gradient! Disclaimer: Fuse Lenses provided me with a complimentary pair of Fuse +Plus Lenses in exchange for an honest review and informational write-up. All opinions are 100% my own. Hopes for 2017 | What Would You Do If You Knew You Could Not Fail? 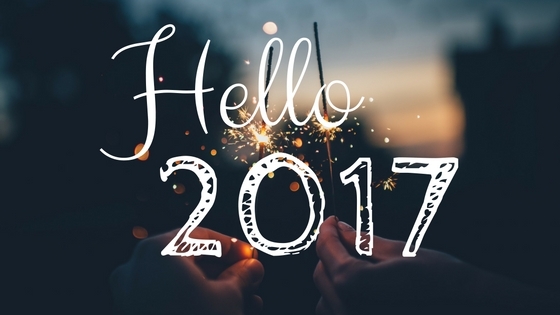 As we all continue to set goals for 2017 (can you believe January is nearly over?! ), I've been taking some time to reflect on myself, what I'm doing with my life, and where I'd like to go. Outside of speech pathology, there are so many things I'd like to do, things I'd like to get better at...but I don't give myself the opportunity. Maybe it's a simple lack of determination (with a tinge of laziness). Maybe it's the nagging reality check instilled in me during childhood that chances of success in a cut throat, saturated creative fields are one in a million. Maybe it's a little bit of both. Truthfully? It's a sad mentality that if I'm not immediately successful at something, it isn't worth doing. If I don't lose ten pounds in one month, it isn't worth working out and eating well. If I can't be a top selling artist on Etsy, what's the point of creating anything at all? If I can't come up with the next Gone Girl in the next three hours, I shouldn't even put a pen to paper. Okay, I'm being a little dramatic here. My point is that, statistically, we will never be the best at every single thing we set out to accomplish...at least not in the beginning stages. 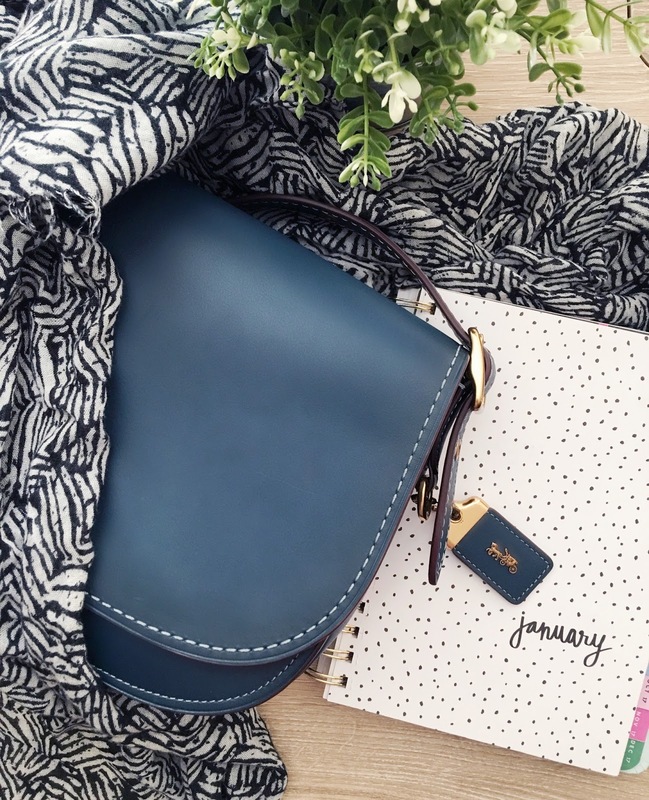 As a blogger and an avid Instagram-er, I'm constantly scrolling through exquisitely edited photographs with quick & witty captions, successful bloggers launching online courses, painters selling off another gorgeous watercolor print, etc. etc. It's inspiring for sure; it can also be a bit deflating. It gets me thinking about the future, the little story I write inside my head every day - the little story that changes all the time. 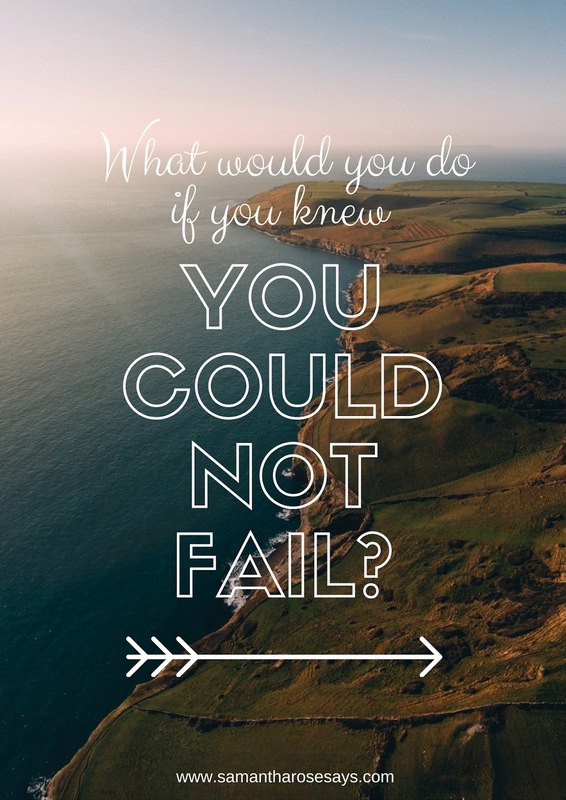 And that got me asking myself the age old question, "what would I do if I knew I could not fail?" If I knew I could not fail, I would write a book. I would write a mystery, or a young adult fiction, or a coming of age series, or a children's book. I would make up character names and develop their backgrounds, their life stories, their futures. I'd formulate plot twists and heartbreaks and epic love stories. My stories might mean nothing to some, but everything to someone. If I knew I could not fail, I would actively paint with my watercolors. I would do portraits of friends, animals, houses, lettering, landscapes, the works. I would find my niche eventually, but I'd dabble in all of it and it wouldn't matter if I was good or bad, because I'd do it simply out of love for the craft. If I knew I could not fail, I would go after a SLP externship position; something I might consider to be "a better fit for someone else." Because why not me? I'm not applying for externships just yet, but I will be by the end of the summer. Sometimes I still don't feel "smart enough" for this field, and in turn I just assume I'll end up in a setting I'm not necessarily thrilled about (note: this theory actually makes no sense). My point? It's foolish to be afraid of failure, because it's inevitable. Failure is a part of life, and a giant part of personal growth. [Taken on campus yesterday morning at 7:15 a.m. Literally the only cool thing about getting to school so early...well, that and the abundance of parking spots]. loving | This semester so far! I know I'm only a week in, but I'm really excited about my supervisor, my clinic placement, and working with kids. I had my first preschool screening yesterday morning, and I have another one today. reading | I'm hopping between Brooklyn and After You, and trying to get "hooked." Brooklyn is a different style of writing than I'm used to reading, and it's been a little bit slow to start. After You is the follow up to Jojo Moyes' Me Before You, so I'm sure it'll be an easy book to get wrapped up in once I dedicate more than ten concentrated minutes to reading it. watching | The Mick...and you should stop everything you're doing and watch it right now. It's hilarious. Like, actually laugh out loud funny. If vulgar, relatively dark humor is your thing, definitely give it a shot (note: it has Kaitlin Olson from It's Always Sunny in Philadelphia!). Also in progress: How I Met Your Mother, Homeland, This Is Us, and Grey's Anatomy. feeling | Sad that I'll be missing Gasparilla next weekend for the first time since 2013. Ryan's fam is throwing a big party with his dad's band down in Fort Myers (and his sister is coming into town from NY! ), so we'll be heading down there in the middle of the pirate invasion. If you're unfamiliar, Gasparilla is basically Tampa's version of Mardi Gras, featuring thousands (literally THOUSANDS) of people dressed up as pirates, day drinking, throwing around cheap beads and having a sloppy good time. It's a mess, but it's fun! Still, I'm excited for Ryan's parents' party, and even more excited to see his sister! listening | Fresh Eyes by Andy Grammer (same guy who did Honey, I'm Good!). For some reason, I've really taken to this song, and it's been on repeat this week. Also getting into Ed Sheeran's new song, Shape of You. Oh, and as always, Ryan's sister's song Pushing You Away by Freda James. She has almost 100,000 listens on Spotify...so crazy! wishing | For sanity this semester. I'm really trying to embrace the "calm before the storm," if you will, because I know it's about to get real overwhelming real quick. Friday Wrap Up | Find Something That Frosts Your Flakes. It's nearly 2 p.m. on Friday afternoon and I am officially done done done with my first week of my second semester of graduate school! PRAISE THE LAWD. But really, what a jam packed week it has been, my friends. After nursing a 101 degree fever all day Sunday, I was nearly positive I wouldn't even make it to my first round of 8 a.m. - 12 p.m. classes, but I rallied. I also slept...a lot. And after more than twenty hours of classes and orientations this week, it's safe to say that I am ready for even more sleep. Sorry not sorry. But can I just say that I am so excited for this semester? Honestly. So. Pumped. It's a little too early to say this with 100% certainty, but I'm feeling pretty confident that I want to work with children when I become a speech pathologist next year (NEXT YEAR, GUYS). From gathering materials, to practicing screenings, and reading my new client's permanent file, I just feel elated. Like I get to play for work? I get to read books and play games and this is going to be work? Sign me up! Aside from starting up my classes, I haven't had much else going on, so I don't have a whole lot more to say. My closing point today is that, when it comes to choosing a career, find something that truly frosts your flakes. Coming from someone who made a giant career change, it really does make all the difference, and I'm so happy I made the change. Phone calls. To your grandparents, your sister, your mom, your old friends. To making doctors appointments when you need them, and massage appointments when you just flat out want one. Working out. For 20 minutes or two hours, for a spin class, for an at home body weight workout. Don't do it for the abs; do it because it makes you feel better from the inside out, because you want to be healthy. Compliments. To a stranger on their necklace, a classmate on their study tactics, a blogger on their writing style. Netflix binges. Get hooked on a new show, and schedule one lazy afternoon a month to totally indulge. Last Saturday night, Ryan and I watched roughly seven or eight episodes of How I Met Your Mother in a row. Best date night ever. ...and movies that make you think. Watch movies that make you feel uncomfortable, that don't have a happy ending, that teach you something. Writing. In a planner, in a journal, on a blog, on an index card. Your life story is important...document it! Vacation. Because you deserve it. Plan it out, save up the money, buy a ticket. You can't take your PTO with you, ya know? Home cooked meals. It's healthier, it saves you money, and thanks to Pinterest, delicious recipes can be yours for the price of free. Or you can buy a cookbook because you fancy AF. Celebration. Go out for your friend's birthday. Take your S.O. out to dinner when they get a promotion. Buy yourself a pedicure when you drop kick a midterm. Life is meant to be celebrated. Lazy days. Bedside mimosas and avocado toast, duvets on the couch, a stack of books or a queue of movies. Don't feel guilty, and don't even think about your to-do list. Guilty pleasures. Whether it's The Bachelor on Monday nights or Pretty Little Liars on Tuesdays, reading 50 Shades of Grey, or trolling Facebook comments - if it brings you joy, just do it. Reading. Get a library card and make a reading list. Read exactly what kind of books you want to read, not just what's popular. Hobbies. For me, I'd like to get into working on watercolors again. I'd also like to learn how to really (finally) use my DSLR camera. Blogging is also kinda fun, too. Find something you love to do, and then do it just for the sake of doing it. Plans. Turn "let's hang out soon!" into "you and me, next Wednesday night, 7 p.m." Making time is only complicated if you make it that way. Conversation. Real, in depth, meaningful conversations about things that matter, the things you're passionate about, the things you're worried about. Sleeping. Let yourself rest. As I've gotten older, I've found that nothing good ever comes from only getting three hours of sleep the night before. Your body (and your overall immune system) will thank you for it. Yourself. Take a nap if you need it, take some quiet time, put on a face mask, read a magazine. Turn off your phone, shut off your computer, and just do you - for five minutes, five hours, or five days. Whatever it takes to keep you sane. 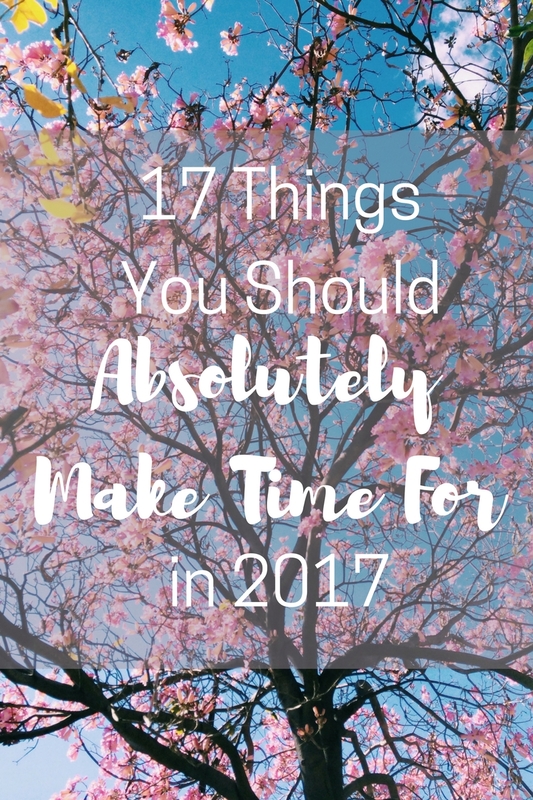 What's something you want to make time for this year? Translating 2016 Emotions into a Happier 2017. I'm finally waking up to chilly weather for the first time in 2017 (yes, a whopping five days in). I'm sitting on our little 3rd floor balcony at my rickety Target table with my two sweet pooches at my feet, quietly watching the courtyard for "intruders." I've gotten up earlier than I have this entire week, mostly because I'm re-training myself for my 6 a.m. wake-up call when the beginning of the semester brings my winter break to a screeching halt on Monday morning. To be honest, I'm hardly even upset about it. You could almost say I'm happy (...almost). You see, in 2016, I experienced my fair share of negative emotions. Frustration: I was frustrated when I was rejected from graduate school programs after having to put my life on hold for this new dream. I felt like I deserved a medal of recognition for all my hard work and dedication, and here I was getting rejected. In reality, I didn't actually deserve anything. Those schools didn't owe me anything; the world doesn't owe us anything (and that's probably the best lesson I could have learned). Sadness: My heart was so heavy the afternoon my mom told me that our family horse of 16 years, Tess, had unexpectedly passed away. While I was sad, my heart truly ached for my mom, because I knew a small part of her soul had died with her. The weight grew even heavier the next morning when we woke up to our lovebird, Jacob, passing as well. It was in these moments that I realized sometimes there's quite literally nothing you can do to help someone grieve; all you need to do is be there. Anger: At the mass shootings, the death toll in Syria, the presidential election. I was angry at the proudly uninformed, ignorant, hateful humans that I felt were taking over the world one gruesome, snide remark at a time. I was angry at myself because I felt like there wasn't a whole lot I could do, a whole lot that I actually doing at all. But it inspired me to a little better informed - to read more, explore more, understand more. But despite all my moments of frustration, sadness, and anger, I found so much happiness in 2016. I was finally accepted into my number one choice school, my mom is healing a tiny bit more with every passing day, and I like to think that my generation took this past year as a sign to become more well informed and more active in their chosen political causes as well. Despite all these negative moments, I still feel warm at my core. I am loved and appreciated by the people closest to me. I live in a cozy, lived-in little apartment with my favorite human and two pups. I might be falling deeper and deeper into student debt (with a severe lack of fun funds), but it's pursuing something I'm still super excited about. I consider myself to be pretty lucky. My suggestion for you, even when it feels like your day/week/month/year is going to hell in a handbasket: find your own silver lining. You don't have to find it right away; by all means, don't. I'm a big believer in relishing in your worst moments, and truly feeling them, even if it's just for a few minutes. But one day, come back to them, and figure out what you can take from them. Because once you can do that, you can truly appreciate the small moments of happiness (like drinking hot tea at a rickety patio table). You know what I mean? Trust my decisions. If you've ever been out to dinner with me, you know that I always ask the server, "this or that?" I rarely buy a piece of clothing without texting pictures to my friends first. I'm constantly asking Ryan, "should I pick up this shift? What do you think? Should I keep my day off? What are your thoughts?" Translation: I don't trust my own judgement enough to make simple decisions on my own. I'd like to become more independent in this sense in 2017. Run 10 miles a week for one month, and see what it does for my mind & body. I'm not a huge runner, and I'm not necessarily dying to become one. But I also know that when I'm involved in an active cardio routine (combined with a healthier diet), I look and feel so much better. I love HIIT workouts, and I'd like to get back into those too, but sometimes I just need a good run. Get better at texting back. I'm the worst about reading a text, and then putting my phone down without responding for no apparent reason. While it might not be a big deal in the grand scheme of life, it still looks a little rude, and I think it's still something worth working on. Spend more time with the people I love. Reach out more. Call more. Invite more. Make more plans. 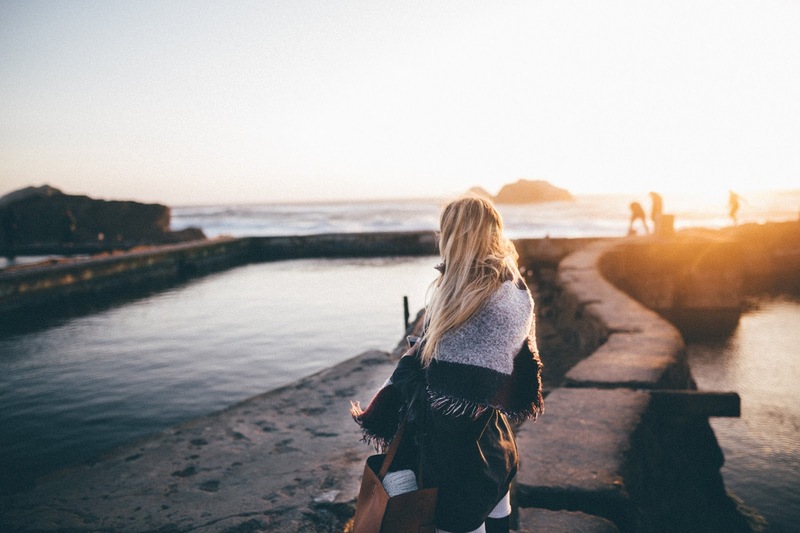 Make more trips. Time flies by entirely too quickly, and that catch up lunch date isn't going to schedule itself. Keep my money stress at bay. As a broke graduate student, money (or lack thereof) is almost always at the forefront of my mind. Sometimes I get really overwhelmed with the amount of debt I'm going to graduate with, how much money I'm putting on credit cards for groceries, how many shifts I'll be able to pick up during the school week without overburdening myself, etc. While it's important to stay on top of my finances and to not spend frivolously, I think it's equally as important to make memories, to have experiences, to go on trips, to buy the new pair of sandals when your old ones are falling apart at the seams. In a nutshell, I don't want to beat myself up over an occasional frivolous penny if it seems that penny might bring me a bit of joy.